August is around the corner! Crazy doesn't even describe how I feel about the fact that we're officially past the halfway mark of 2013. I used to wonder where I'd be in 5 years. I think that's funny. Five years? I don't know where I'll be next month! Oh, August 2013, what do you have in store for me? This not knowing is a good and bad thing, I guess. On one hand, the planner in me is screaming, "I HATE THIS! I WANT TO KNOW WHAT'S GOING ON!" Flexibility isn't a bad thing. I've been learning to give control over to God, who is not (though sometimes it doesn't seem that way) surprised by my current life situation. For me this is a comforting thought. I would say the most comforting thought of any thought I've had lately, many of which have not been comforting at all. For example, the thought that I will never be able to retire because I will have no retirement fund and will still be living in this apartment when I'm 92. The onslaught of thoughts that are less than comforting is probably why I've enjoyed reading blogs so much lately. It's so weird to share personal thoughts with strangers over the internet (or your IRL friends too; it's like a personal diary everyone reads! ), but it's so wonderful when you read a post and you're like, "Wait. Did I write this?" because it sounds so much like something you could have said about yourself. And maybe you even have said it about yourself; you just couldn't put it into words quite as well. I want to share a few of those posts with you, because maybe they'll speak to you too. Earlier this week I read Jenny's post on Dealing with Disappointment. It was perfect. That's really all there is to say. My post about how to find blogging success got crazy traffic (by that I mean more than 10 comments). It seems we all struggle with finding blogging success, and even non bloggers struggle with finding success in their own niches. Specifically regarding blogging, I appreciated Hannah's post on What's the Point in Blogging? It was a great companion piece to my post (at least I thought so). I have been running, although the summer has proved to be a beast in terms of humidity and heat. "I love it when sweat drips off my elbows," said no one ever. I've been averaging about 10 miles/week, which I know is like a short run to some people, but after 18 weeks of marathon training, I have absolutely loved running without caring about distance or time or pace (okay, I still care a little about pace). For the last 3 months I've been running 3 days/week with runs between 3 and 6 miles. I just kind of set out and go until I feel like stopping. That being said, I'm signed up for half marathons #6 and #7 this fall (in October and November). Training starts August 3 and then it's back to scheduled weekly runs. Anyone else scheduled for fall races? In other running news, I'll be hitting my 2013 goal of 500 miles for the year pretty soon, which is exciting. I remember thinking 500 miles sounded like an insane amount, so it's fun to see how far I've come in a few years' time. 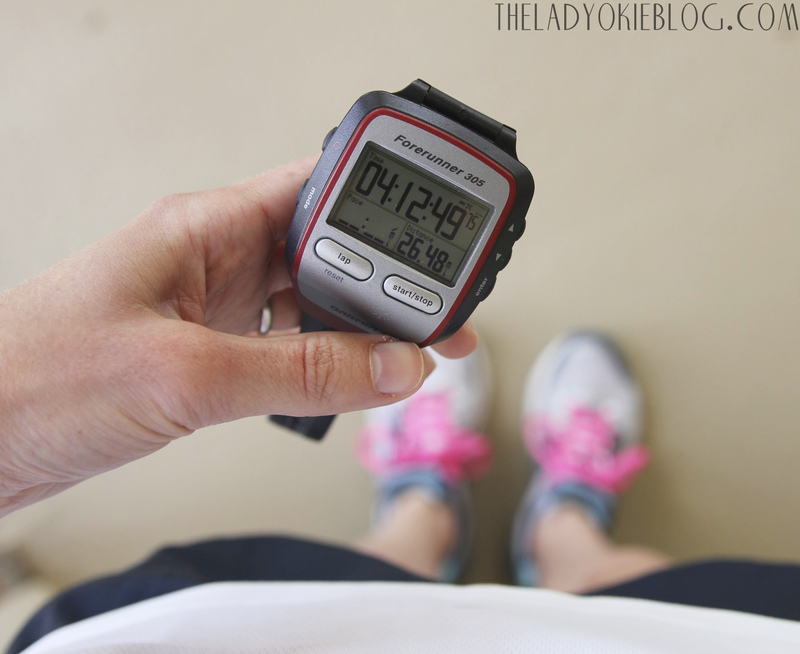 I loved this post from Dorothy about how to move on from a bad run. It came at the perfect timing seeing as how I'd just gotten back from a horribly disappointing run where I was like, I can run a marathon, but I can't run 2 miles?! It was a sad day, but this post made me feel much better. Also, you might be interested to know that I started another Kate Morton book earlier this week. I loved the last one I read so much that I decided to go for another. I'm reading The Distant Hours, which is a bit slower pace than The Forgotten Garden but still full of interesting characters and plot twists. Kate Morton has definitely been added to my favorite author list. How to end a scatterbrained post such as this? 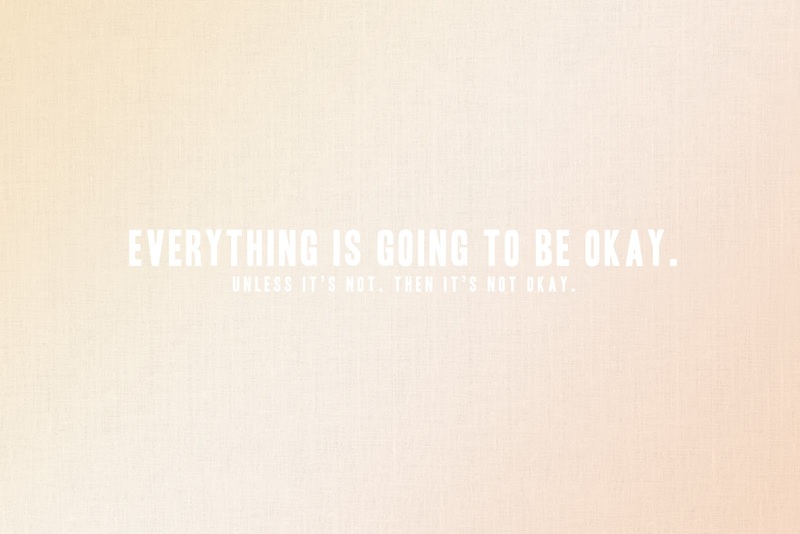 I suppose by reminding you that everything is going to be okay. 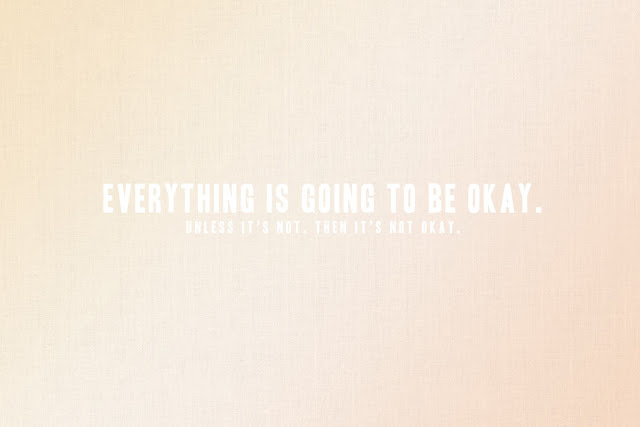 What I mean is, it will be okay as long as there's chocolate. I start training on Monday for my first half marathon, the Nike's women's half marathon in San Francisco. I am excited but totally scared. Omg The Distant Hours is so good. I'll reread the last couple of chapters and we must talk about it when you finish. it's true. i think all my life has been in such uncertainty. where i will be next week? what will i do tomorrow? sometimes it just feels so tiring. but i believe there's a plan for me. I can only imagine how hard it is to be in your place right now- I am also not a fly-by-the-seat-of-your-pants kind of person (which really doesn't help me fit in here in Portland, OR). But, you're right- everything will be ok as long as there is chocolate! I wish. I went for another "test run" the other night & my ankle said "nuh-uh girl, stop looking at late summer races b/c you're not going anywhere for while". Booo.